Published on the occasion of the third anniversary of the paper, New Age Short Stories testifies to the role that the paper has played from the beginning in making Bangladeshi fiction, in English and in English translation, readily available to an English-reading audience. In the course of these three years, New Age has published so many stories that all of them could not be accommodated in one volume. Only stories that appeared from September 2003 to September 2005 have been included. When New Age started publication on June 7, 2003, it did not have a regular story feature. However, the literary contests organized by the paper received an overwhelming response and led to the publication of several stories. Parag Chowdhury's Why Does Durgati Weep? Najmul Alam's The Wife, Humayun Ahmed's RupaÂ and A Celebration of Rain,Â M. Zafar lqbal's A Saree for Medina, Rezaur Rahman's The Wind Plays Through the Emptiness, and Syed Manzoorul Islam's The Living Dead, all won laurels for their translators in different contests. Maithilee Mitra's Wet SandalsÂ and Manal Mohammad's A Recluse in Rain were original stories that won prizes in the Rains Literary Contest. The New Year, Eid, and Baisakh specials of New Age also included some short fiction. Makbula Manzoor's In the Urban Jungle, Husne Ara Shahed's Beyond the Circle of Light,Â Imdadul Huq Milon's A Bengali Abroad,Â Syed Badrul Ahsan's A Woman Called Mrinmoyee, and Farhana Haque Rahman's RevelationÂ were some of the stories thus featured. The start of the story of the month from June 2005 led to the publication of stories by Nasreen Khundker, Tulip Chowdhury and Marisa Anaman. Other stories were occasional publications. 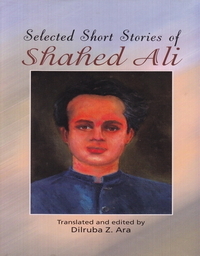 NayancharaÂ by Syed Waliullah was published on the occasion of his birthday, and InfidelÂ by Shaheen Akhtar was published when she won a prestigious literary prize. The range and variety of the stories, some by well-known, published authors, others by little known or unpublished ones, reveal the richness of Bangladeshi fiction, in both Bangla and English. By making the stories published in the paper available as an anthology, New Age is fulfilling the promise it made when it began its journey three short years ago.